The Rare Book Department's Judaica includes a beautifully written and lavishly hand-decorated Spanish Hebrew Masoretic Text bible. 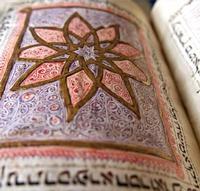 Commissioned in 1496 in Lisbon, Portugal, the book is well-known among contemporary Hebrew bible scholars. But for Joseph Shemtov, a librarian in the Rare Book Department, it has a personal connection. Created in Lisbon, the book soon found its way to Istanbul (probably accompanying its original owner) after the expulsion of Jews from Portugal in 1497. 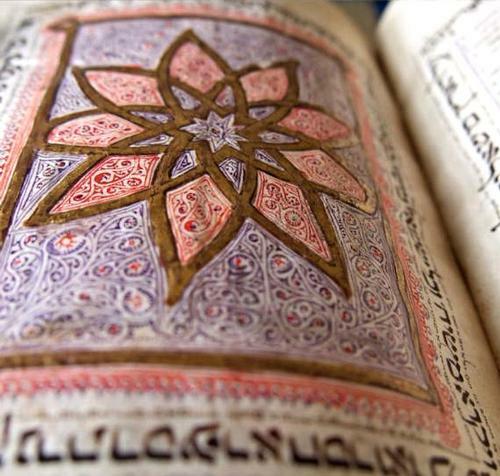 For more than three hundred years, the book remained in the capital of the Ottoman Empire. In 1840, the British financier and philanthropist Moses Montefiore traveled to Istanbul with his secretary Louis Loewe, a bibliophile and collector of Hebraica. At the time, an anti-semitic blood libel in Damascus, Syria (part of the Ottoman Empire) led to arrests, torture, and riots against the Damascus Jewish population. Montefiore met with Sultan Abdulmecid I and persuaded him to issue a decree declaring the libel false. It was during this historic trip that Dr. Loewe purchased the bible. Recently Joseph invited a few of his relatives to visit the Rare Book Department in order to see the Masoretic Bible in person. The experience was emotionally charged. In addition to the book's splendor and beauty, its history recalls that of his family's. Joseph traces his maternal roots to the expulsion of the Jews from the Iberian Peninsula. For many generations after the expulsion, Joseph's family lived in Aleppo and Damascus, Syria. The book's history is a testament to the turbulent lives of its owners, and of the difficult times Sephardic Jews endured. And for Joseph Shemtov and his family, the Masoretic Bible will remain a source of inspiration for the perseverance of Jewish Sephardic tradition. For more information about our Masoretic Bible or other Judaica manuscripts in our collection, please email the department at erefrbd@freelibrary.org or call us at 215-686-5416. This story originally appeared in the Rare Book Department's monthly newsletter.